The Aspirus Scholars Program was created by Aspirus and several community partners to address the health needs of patients in north central Wisconsin and the Upper Peninsula of Michigan and ensure access to high-quality medical providers, today and for future generations. The Aspirus Scholars Program will provide scholarships to select medical students in exchange for a service commitment and rewarding career with Aspirus. The Aspirus Scholars program is also designed to help alleviate some of the debt burden many of our medical providers are faced with today. Interested candidates are required to complete an application. The application includes detailed instructions regarding the conditions of the scholarship to help you determine if this scholarship is right for you. The completed online application should be submitted by 5 p.m. on September 30, 2018. Select the options below to learn about more about medical student scholarship opportunities. What are the Scholarship Amounts and How Many Are Given? Students can be awarded up to $150,000 in scholarship aid for tuition while enrolled in the medical student program at the Medical College of Wisconsin-Central Wisconsin (MCW-CW) Campus. In return, upon completion of medical school and residency training, the student agrees to employment with Aspirus. The program is open to first- and second-year medical students in pursuit of primary care, psychiatry, or general surgery careers from the MCW-CW Campus. First-year students and second-year students will be selected to receive scholarships in 2018. Complete and pass all required aspects of the respective medical school curriculum, including all standards of academic and professionalism. Complete the MCW-Central Wisconsin Discovery Curriculum successfully. Student must also complete and demonstrate the MCW Global Competencies, the majority of the longitudinal integrated clerkship (summer between M1 and M2 and all of M3 year) with Aspirus. Agree to provide five years of service through employment by Aspirus in primary care (family medicine, pediatrics, internal medicine, obstetrics/gynecology), general surgery or psychiatry in a community served by Aspirus. Aspirus shall offer an employment agreement that is consistent with its practices for employing physicians or advanced practice providers, and shall offer a compensation and benefits package substantially similar to those offered to other physicians and providers employed at Aspirus in that particular specialty area. Annual affirmation of continued interest to practice in primary care, general surgery or psychiatry in a community served by Aspirus through employment by an Aspirus entity by signing an annual promissory note. 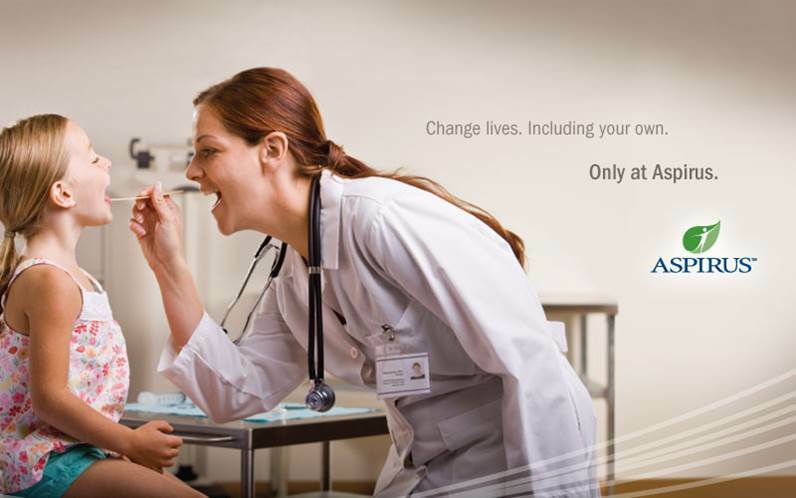 If you are interested in changing lives, including your own, by joining the Aspirus family and practicing in primary care, psychiatry, or general surgery with Aspirus in north central Wisconsin or the Upper Peninsula of Michigan, then you should consider applying. Participation in a majority of clinical training (MCW-CW for medical students) with Aspirus-related entities. Commitment to Aspirus’ mission and promise of passion for excellence, compassion for people. Strong interest in primary care (family medicine, internal medicine, pediatrics, obstetrics/gynecology), general surgery, or psychiatry. Strong desire to develop connections within Aspirus’ communities. 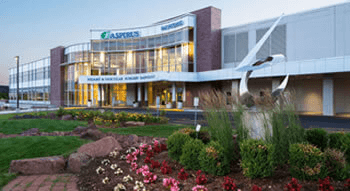 Have graduated from communities in which Aspirus has facilities in North Central Wisconsin and the Upper Peninsula of Michigan. Applications will be accepted until September 30 of each year. A Scholarship Selection Committee comprised of community members and representatives of Aspirus entities in north central Wisconsin and the Upper Peninsula of Michigan will review, rate, and rank applications based on the goals of the Aspirus Scholars Program. Recommendations will be made to the Aspirus Health Foundation Board of Directors in December or January, and any student(s) approved by the board will receive notification in writing by January 31 of each year. Any applicant not selected may reapply for a scholarship in the loan program in the second year of medical school. What Happens After the Scholarship is Awarded? Prior to the distribution of payments, Applicants selected for scholarship awards will meet with a representative(s) of the Aspirus Scholars Scholarship Selection Committee to review the Aspirus Scholars Agreement and discuss terms of the service commitment, repayment conditions, and federal and state income tax requirements and timing of tax payments. Scholarship recipients will be provided a short timeframe in which to accept the scholarship award. Upon Aspirus’ receipt of the signed scholarship agreement, the initial scholarship payment will be disbursed to the MCW Financial Aid Office, and each year thereafter upon Aspirus’ receipt of a signed promissory note. Students will be asked to sign a yearly promissory note prior to further payments to ensure continued interest in practicing primary care, general surgery, or psychiatry with an Aspirus entity. The Aspirus Provider Recruitment team will keep in touch with students throughout medical school and residency to help identify the right practice opportunities within the Aspirus system for both the student/resident and Aspirus. We believe this process will help students make informed decisions about their future and will uphold the integrity of the Aspirus Scholars Program. Disbursements are contingent upon compliance with all requirements set forth in the Aspirus Scholars Program Scholarship Agreement and related documents. What Happens if Scholarship or Service Conditions are not Fulfilled? Failure to meet any obligations of the scholarship during medical (as a MCW-CW student) school will result in scholarship ineligibility and immediate repayment of the scholarship. Failure to meet any conditions or obligations of the scholarship following graduation (MCW-CW medical school for med students) will result in immediate repayment for previously disbursed or unforgiven scholarship funds. Details are listed in the Aspirus Scholars Program Scholarship Agreement. Where Does Aspirus Have Medical Facilities? Current Aspirus hospitals, clinics, and other medical facilities are located in Wisconsin and the Upper Peninsula of Michigan. These locations and facilities are subject to change. You can view a map of the Aspirus service area here. Will I be able to choose where I practice? Yes. Students will work with the Aspirus Provider Recruitment Team, just as all new providers do, to determine which community and which practice would be a good fit for the long-term. There are, however, no guarantees that a position will be available in a specific geographic location or particular clinic upon the students' completion of training. Are my residency opportunities limited if I choose the Aspirus Scholars program? No. Students will select their residency programs based on the medical field they wish to pursue. Aspirus does have a family medicine residency in Wausau, and Aspirus Scholars will be given preference in the match. If you’re interested, but not sure, apply anyway by September 30. Go through the application and interview process to learn if it’s right for you. Applicants can withdraw at any time or decline the offer. If you change your mind after you accept the award and receive payments, you simply repay the loan amount. How is it better than what’s normally offered by Aspirus? For questions or inquiries, please contact: Kalynn Pempek, Executive Director of the Aspirus Health Foundation at 715-847-2478 or via email. View the videos below or read about the 2017 and 2018 class of Aspirus Scholars. The Aspirus Health Foundation awarded $706,000 to six college students pursuing careers in health care as part of the 2018 class of the Aspirus Scholars Program. The Aspirus Health Foundation awarded $222,000 to three college students pursuing careers in health care as part of the inaugural class in 2017 of the Aspirus Scholars Program.